1 image. 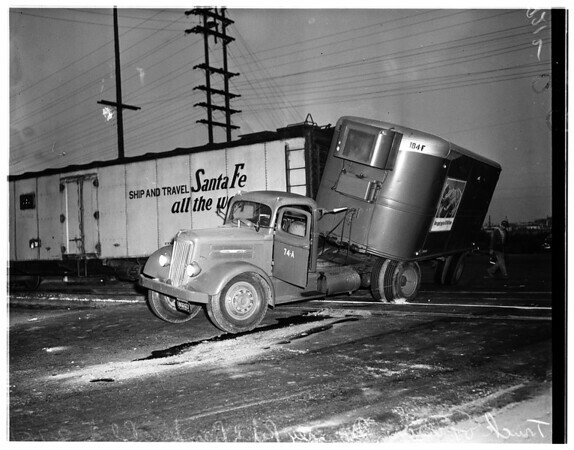 Truck vs. train (Downey Road and Bandini Boulevard), July 7, 1951. General view of freight car and truck after accident.